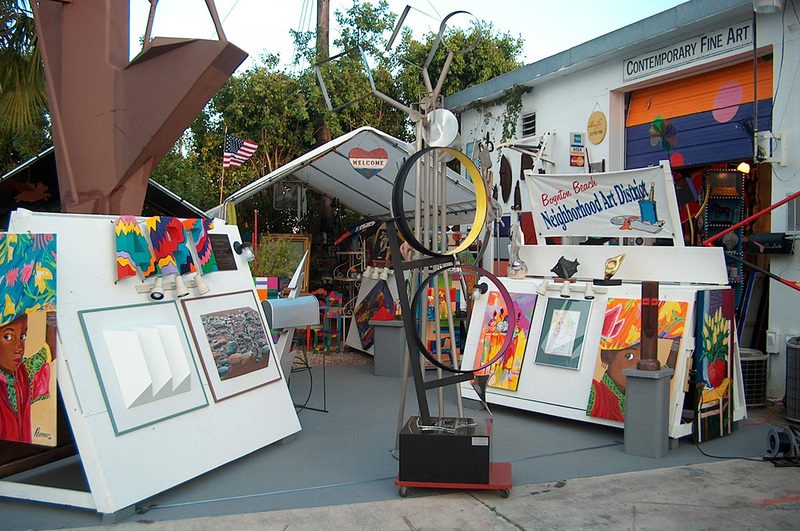 Neighborhood Gallery of Boynton Beach at NeighborhoodGallery.com provides community arts information and is South Florida's source for outdoor painting, sculpture, regional and national artists. Click on the images below and on the right for a larger view. 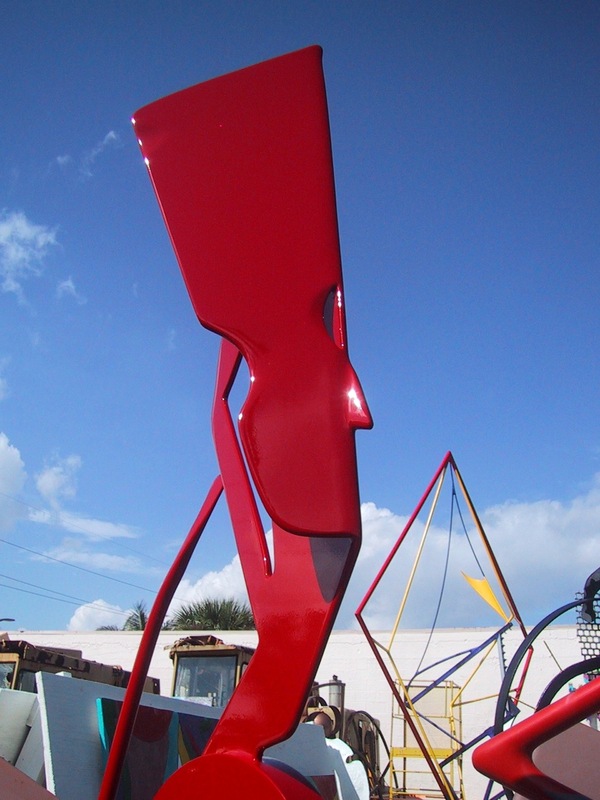 Richard Beau Lieu created his new work, "Metal Mask". 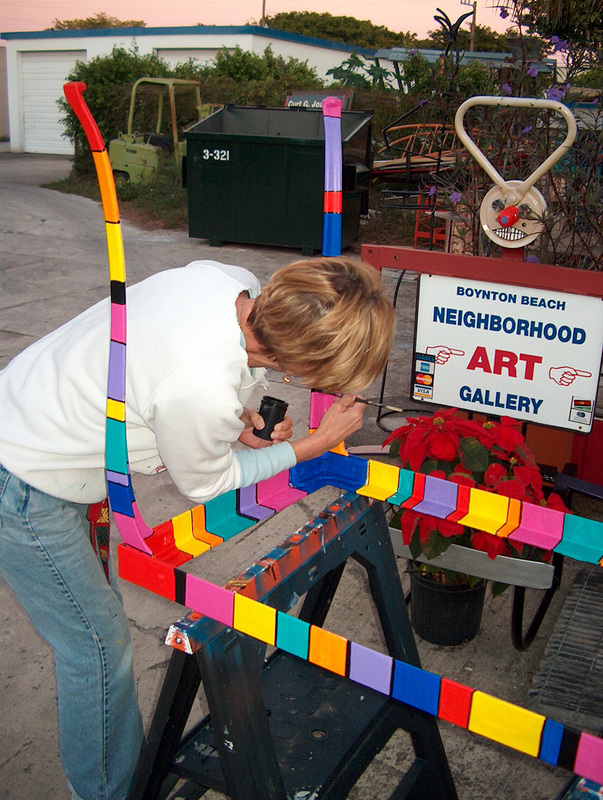 In the rear you can see work in progress.You will always find large sculpture being built and painted at the Neighborhood Gallery. 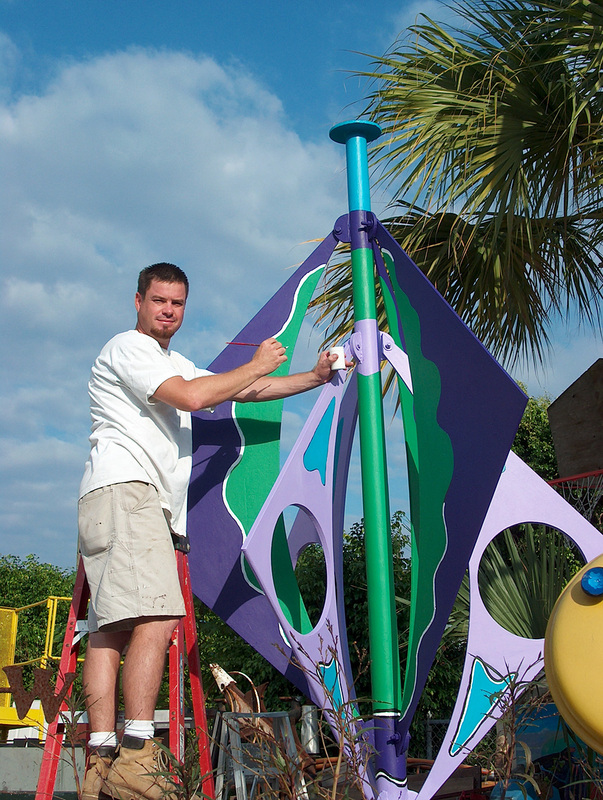 Tom Crooks touches up the paint on a new sculpture and work in progress. To view a larger larger image, click here or on the image. 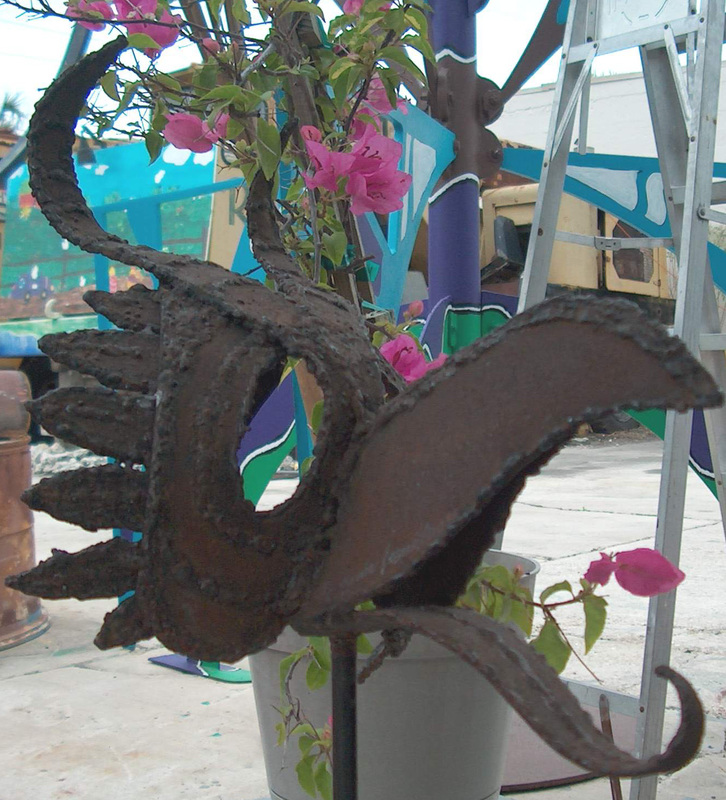 Kathy Henner paints her Steel Art Desk at the Gallery below. 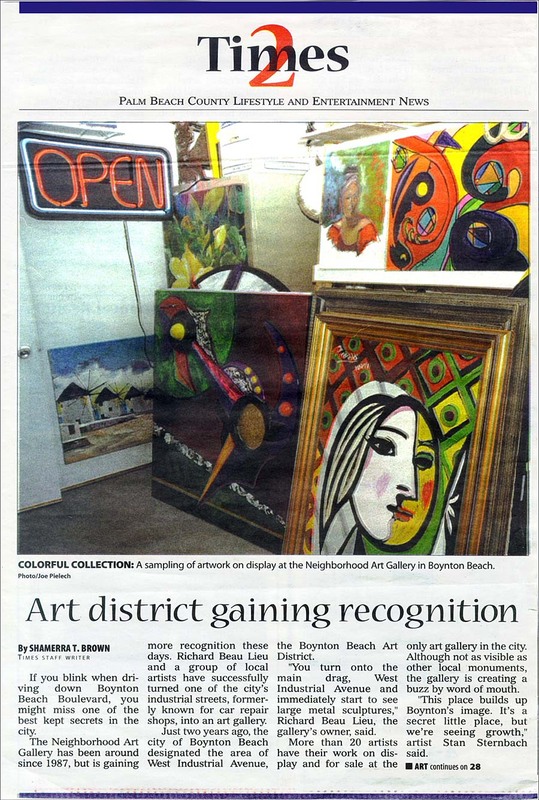 There have been many news features on the Neighborhood Gallery. Click on the 2003 article on the right or click Here to read more. 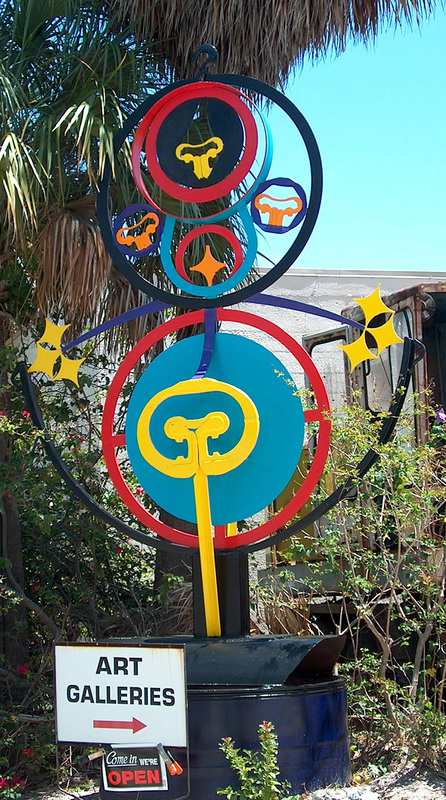 A rich assortment of sculpture & painting adorn the landscape of the Neighborhood Gallery. To begin your virtual tour of this wonderful collection of artwork, Click Here or on the image below. Please call for hours and directions.